This at-a-glance information makes it possible to keep track of all the batteries in your facility, and to maintain the fullest state of charge in the equipment that uses them. When a battery is connected or removed. 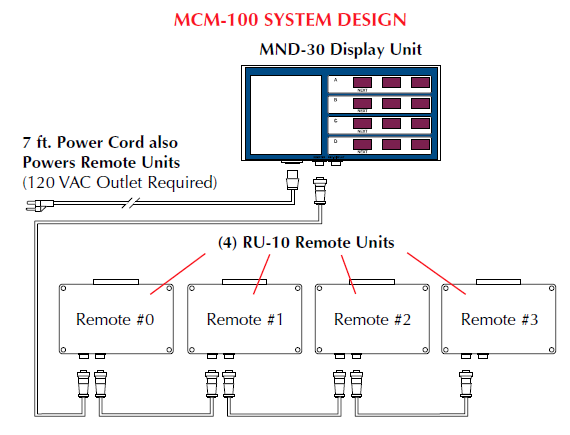 Displayed is a basic system design schematic, including the MCM-100 Monitor and Remote Units wired in series. 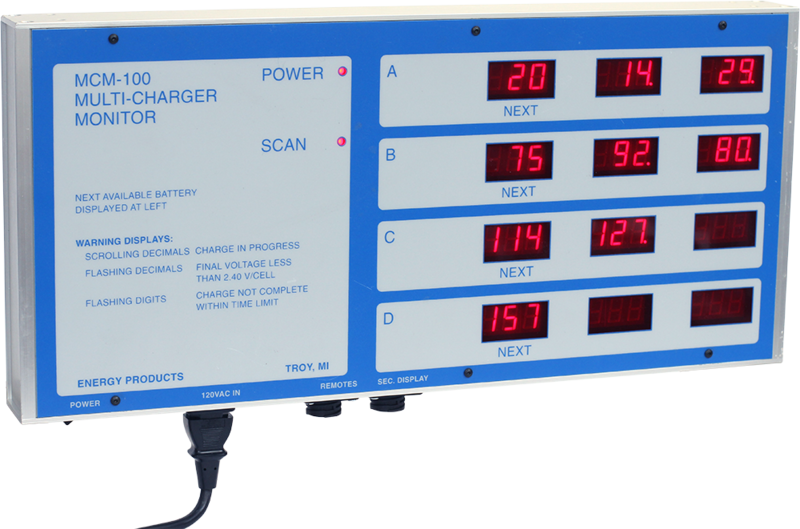 The Remote Units are responsible for monitoring the battery voltage at each charger in your installation, and are available in 12, 18, 24, 36 and 48V versions. Each Remote Unit monitors up to ten batteries of the same type.